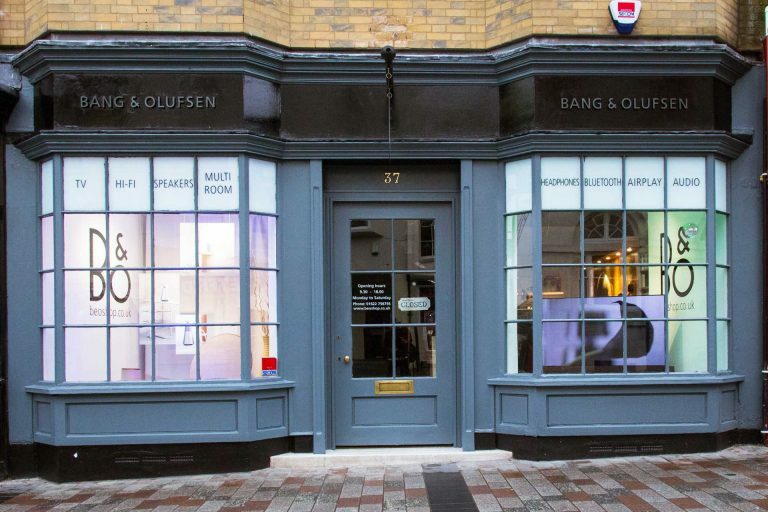 Bang & Olufsen of Maidstone has been a mainstay in Kent’s county town for over 25 years. It is dedicated to providing customers with an unrivalled audio-visual experience that fuses the finest products with exemplary levels of customer care. From its inviting and beautifully finished showroom, Bang & Olufsen of Maidstone is able to assist customers with their every audio-visual requirement, whether visitors simply require a pair of headphones or desire a complete bespoke home automation system. In addition to the range of new Bang & Olufsen products, the business also offers hand-picked pre-owned equipment, refurbished items, discontinued lines and a full after sales facility. Family-owned and part of the Kent-based Beoshop group – the largest group in the entire Bang & Olufsen UK retail network – Bang & Olufsen of Maidstone is ready to use its team’s brand experience of over 60 years to deliver a truly exceptional service.